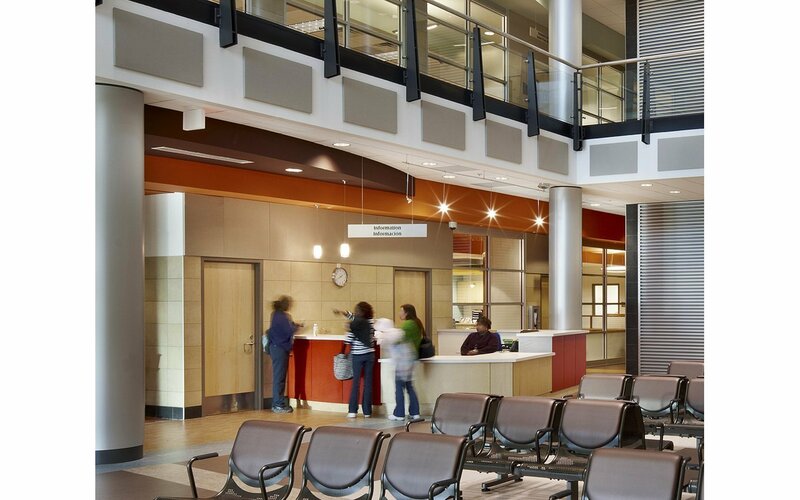 Client service was the focus for the design of the Public Health Center. Despite serving an average of 50,000 clients annually in recent years, Cumberland County’s Health Department had been for the past 30 years in a cramped building difficult for patients and staff to navigate. 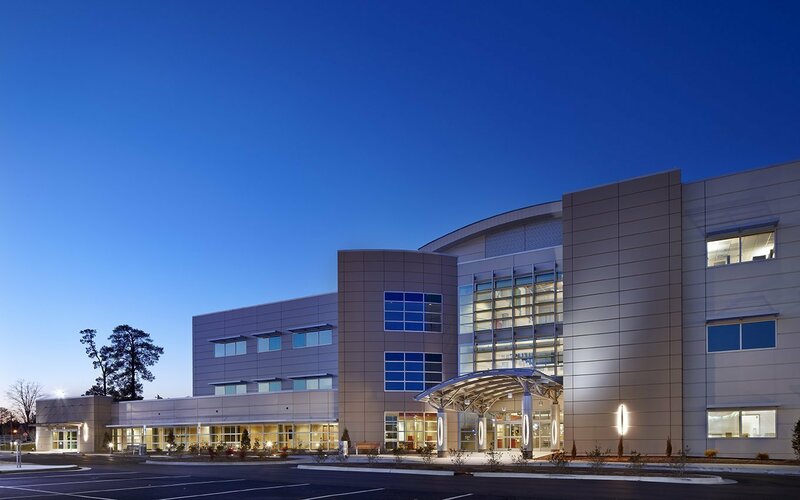 CJMW Architecture worked closely with the County and the multiple user groups to address operational concerns regarding efficient client services and security. The layout balances staff-centric and client-centric design concepts. 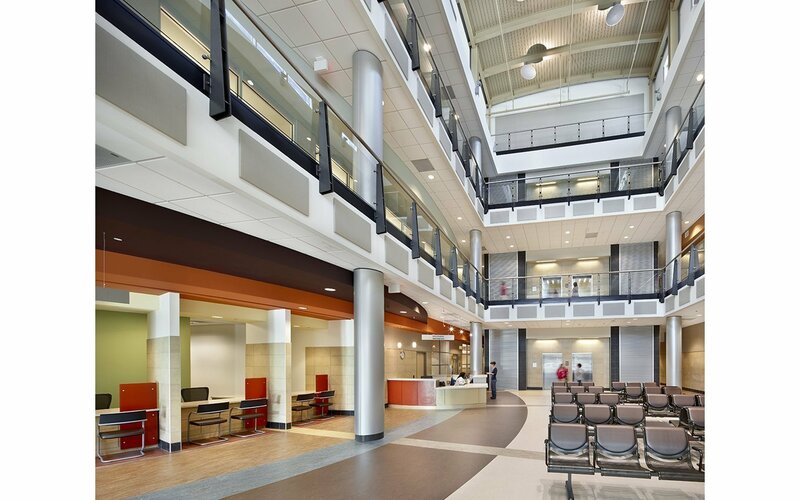 The open, light-filled atmosphere promotes a feeling of well-being and provides clear sightlines across the facility. 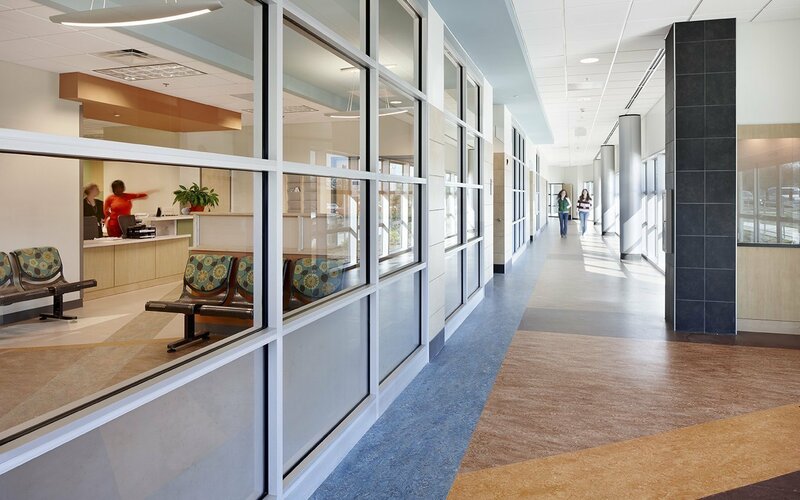 Each department has views to the outside and/or natural light. Orienting the public spaces along a “main street” accommodates process flow and assists with wayfinding. 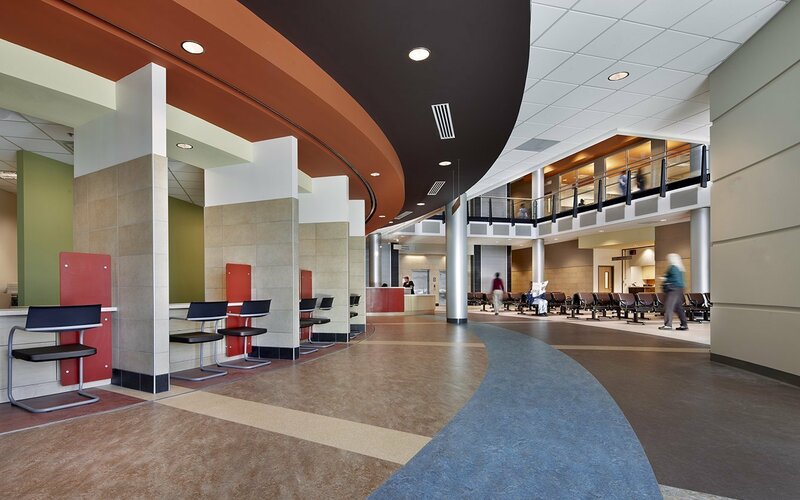 Working within a limited budget, the design team enlivened the public space by incorporating bright colors and patterns in the durable flooring materials as well as several key client touch points. 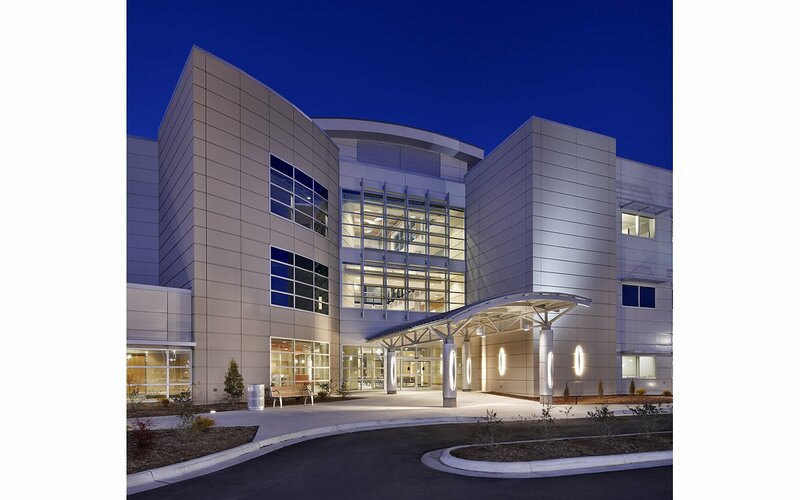 The building houses 16 divisions including three medical clinics, a dental clinic, a pharmacy, and administrative offices. Employees have access to an aerobics and a fitness room as well as showers to encourage exercise during the day. The building also contains a regional bioterrorism response center. To facilitate the department’s move to nearly paperless operations, the building includes a large server room and a 900 kilowatt generator for backup power.